For this post, I have put together a collection of the best cappuccino makers currently available. A cappuccino is simply composed of double espresso and hot milk with foamed milk on the top. The espresso is brewed by forcing hot water, under pressure, through finely ground coffee beans. This creates a very concentrated flavor compared to a traditional cup of coffee. The espresso is then combined with hot milk created using a milk foamer, which can be separate or a part of the machine. The following cappuccino makers use the latest innovative components to meet your needs and help to ensure you get the perfect cup. So here is my list of The 10 Best Cappuccino Makers. 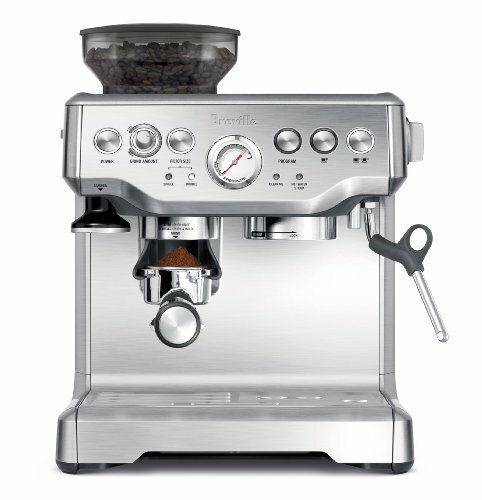 The Breville BES870XL Cappuccino Maker features an integrated conical burr grinder and half-pound bean hopper. Filter size button indicates whether you are using a single- or double-wall filter basket. Grinder will dispense the required amount of ground coffee for the appropriate filter type. Thermocoil heating system with integrated stainless steel water coil accurately controls water temperature. Auto purge function automatically adjusts water temperature after steam for optimal espresso extraction temperature. Stainless steel portafilter with commercial style spouts. Removable top-fill water tank with replaceable water filter to reduce impurities and scale. The Mr. Coffee Cafe Barista features an electric 15-bar pump that creates powerful pressure to extract bold, rich flavors. One-touch controls let you choose between single or double shots. 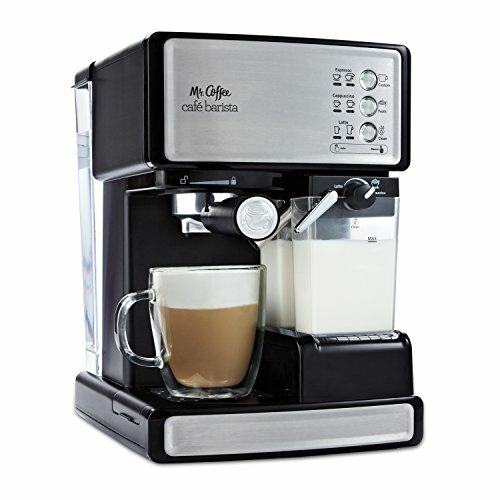 Automatically froths milk for cappuccinos and lattes. Removable water reservoir fills and cleans easily. 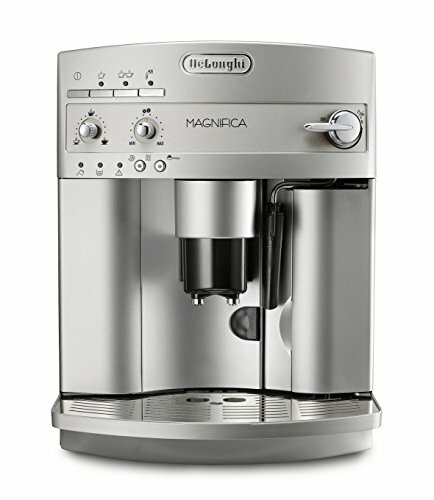 The De'Longhi Magnifica ESAM3300 features a patented direct-to-brew system grinds beans instantly before brewing. Rapid Cappuccino System maintains the optimal temperature so you can brew multiple cups in a row. Manual frother mixes steam and milk to create a rich, creamy froth for cappuccinos. Integrated burr grinder with adjustable settings for grinding fresh beans. Second chamber allows you to use pre-ground coffee. Adjustable manual Cappuccino System mixes steam and milk. 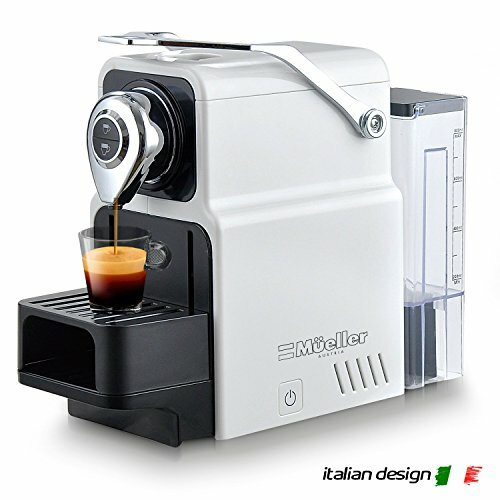 Program in your preferences from the strength of your espresso to your preferred size of drink. Compact, extractable brew unit is easy to clean. 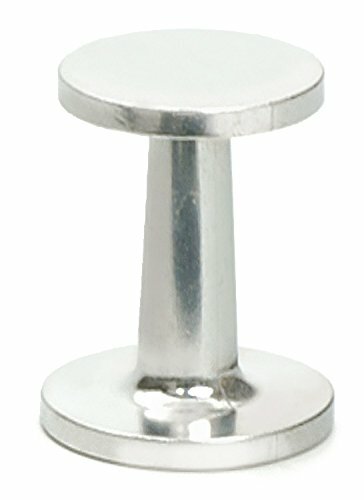 Don't forget the espresso tamper. The Nespresso Vertuo Cappuccino Maker creates exceptional freshly brewed coffee or authentic espresso at the touch of a button. 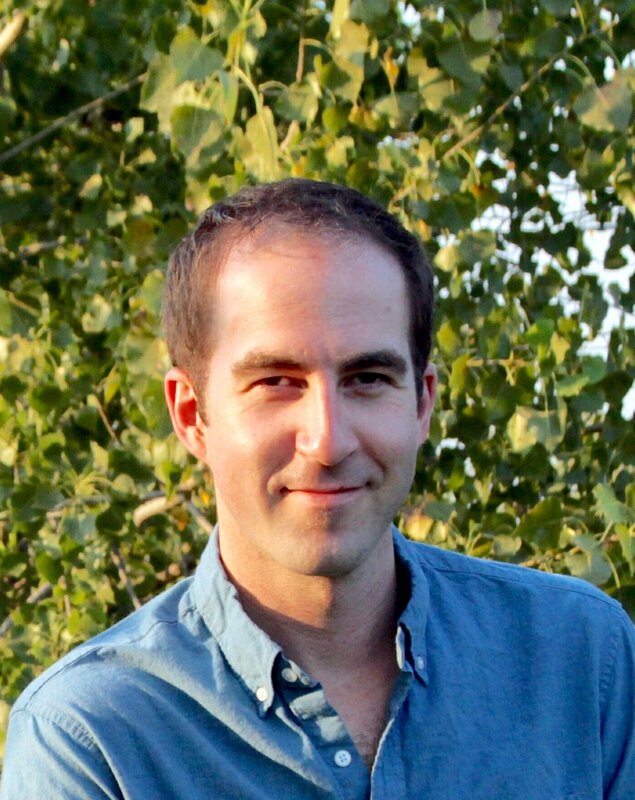 Capsule spins up to 7,000 rotations per minute, blending ground coffee with water. Capsule is automatically ejected after brewing, with only 15-20 seconds of pre-heating time. Cup support is adjustable to three positions to accommodate different cup sizes. 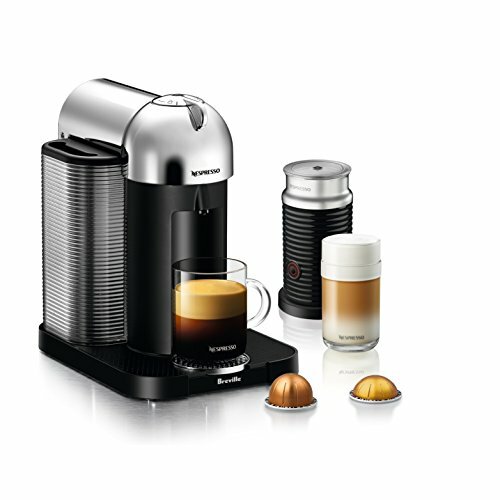 Includes 12 Large Nespresso Vertuo capsules containing individual aromas. 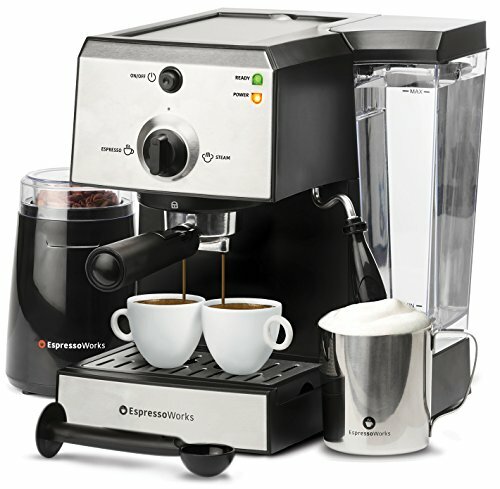 The EspressoWorks All-In-One kit includes all accessories to get you started - electric grinder, portafilter, stainless steel frothing cup, measuring spoon and tamper. Auto-off feature, the machine will turn off after 25 minutes of non-use. Stainless steel filter with two basket options for single and double shots. Front-view water tank allows for easy and convenient monitoring of water levels. Includes a built-in steam wand to steam or heat milk. Stainless steel milk frothing cup. Electric grinder is equipped with a manual twist top and stainless steel blades. 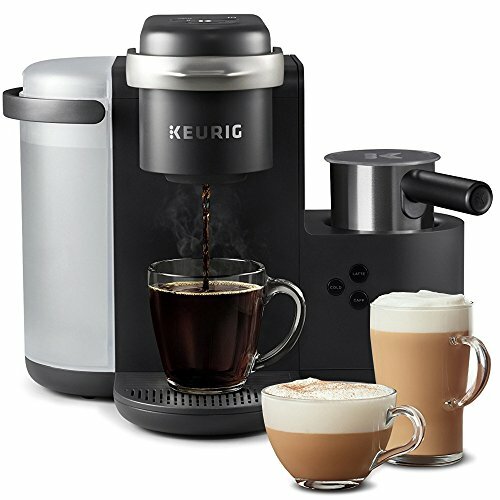 The Keurig K-Cafe Single Serve Cappuccino Maker uses any K-Cup pod to brew coffee, or make delicious lattes and cappuccinos. Removable large reservoir makes refilling easy. Can brew up to 6 cups before needing to refill. Programmable auto off feature automatically turns your brewer off two hours after the last brew for energy savings. Accommodates travel mugs up to 7.2” tall. Includes dishwasher safe frother for easy clean up. 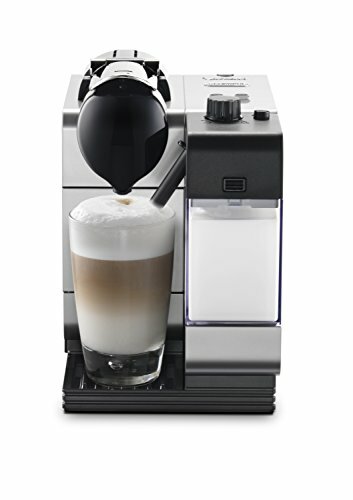 The Nespresso Lattissima Cappuccino Maker offers one-touch convenience. Simply place a capsule in the top of the machine, slide the milk container onto the front, place a cup under the nozzle and press the button. Creates an ideal flow of water with 19 bars of pressure. During the extraction process, the integrated carafe dispenses milk with adjustable levels. Designed so no milk comes in contact with the machine. Thermoblock heating system speeds cold-start heating time to seconds. Large-capacity water tank makes refilling quick. The Mueller Nespresso Capsule Cappuccino Maker features one-touch operation and patented extraction system which delivers up to 20 bar pressure. Water tank holds up to 24 oz. so you need not refilling. A fast-heat up time means the water reaches the ideal temperature in 60 seconds. Energy saving mode automatically switches the machine off after 10 minutes. Needs only approximately 25 seconds to preheat. One-touch buttons with two cup capacities: short and long. Can be reprogrammed to custom volumes. The DeLonghi Eletta Cappuccino Maker, with just the touch of a button, allows you to prepare every cup exactly to your liking. 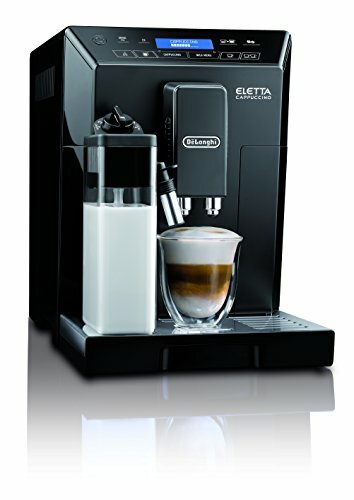 Latte Crema System creates perfectly layered espresso beverages, with dense, rich, long-lasting foam. Unique milk menu function automatically prepares café latte, macchiato, flat white and Steamed hot milk . Sensor Touch control panel with high visibility display. Integrated burr grinder with adjustable settings grinds fresh beans every time to ensure maximum freshness. Use pre-ground in the second chamber for regular, specialty or decaf. 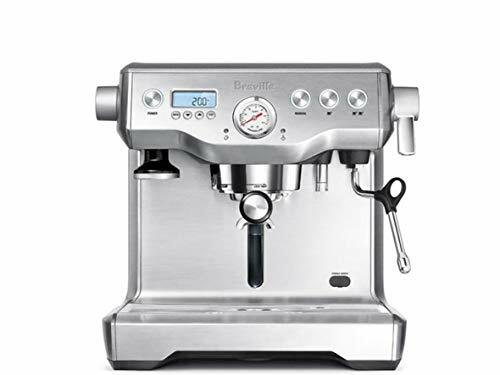 The Breville BES920XL Dual Boiler offers commercial features and performance, in a domestic footprint. Auto Start setting preheats the machine at a programmed time. Top-fill 84 oz. (2.5L) water tank ensures easy access. Dedicated hot water outlet makes it faster to preheat cups and prepare an Americano. Features an Over Pressure Valve (OPV) which limits the maximum pressure throughout the extraction, preventing bitter flavors in the shot. Offers a true low pressure pre-infusion, which gradually increases the pressure to gently expand the grinds for an even extraction. I hope this list of the best cappuccino makers was helpful.